Here are some of my sketches that I categorize as the ancient ones. The most important thing, before the architecture really forms the civilization of this world. Ancient buildings that expose beautifull sense of architecture always gives a different taste of Wastu Citra as Mangunwijaya said. The wastus which we are talking here are about the ancient architecture. A common theme running through many of the early structures that are built was made as some religious object. Stonehenge, Ziggurats, Giza, are some of the examples. And here I sketched some of what I think the precious ancient objects from some place. 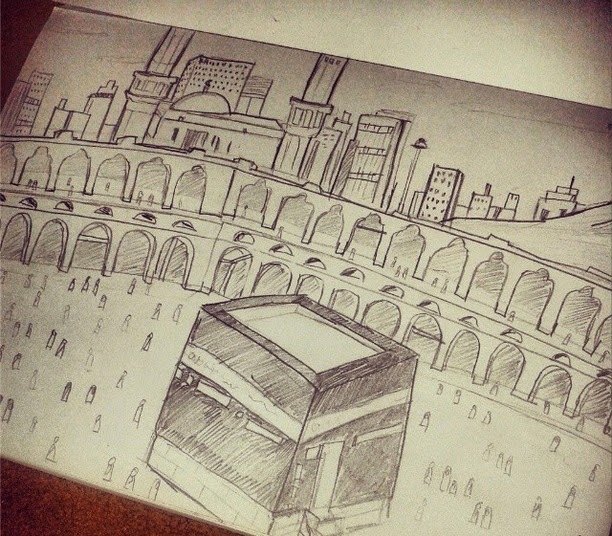 Kaaba, The Most Sacred Space.
. A building that has a power as the sacred point. This ruins really describes what Ruins in Indonesia are commonly look like. 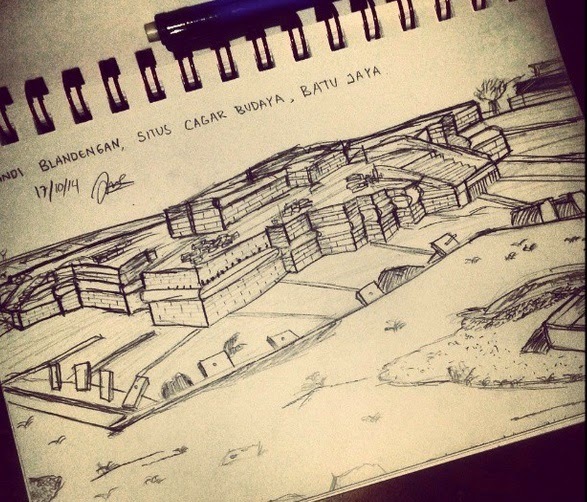 Still in the site, the view that I got before sketching is a bit messy. But the beauty of this temple replace all the mess. This temple is Located in Batu Jaya Site, Karawang. A place full of various myths that maybe helps to describe what this temple is. 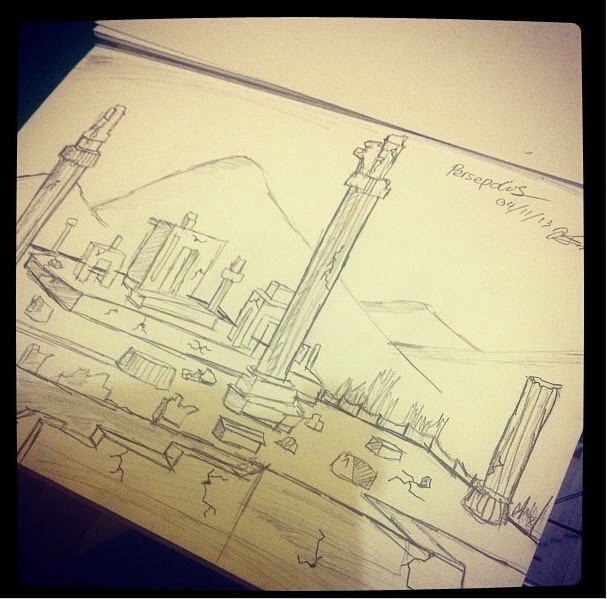 A sketch of the ruins of persepolis. City of the persians. The pillars are the ones that stand stills and shows the true strenght of a column in the ancient Structures. This ruins Begin as a single palace, it grew into a vast complex of colossal, post and lintel palaces. The angle that I got is based on Sutherland Lyalls book of "World Architecture."